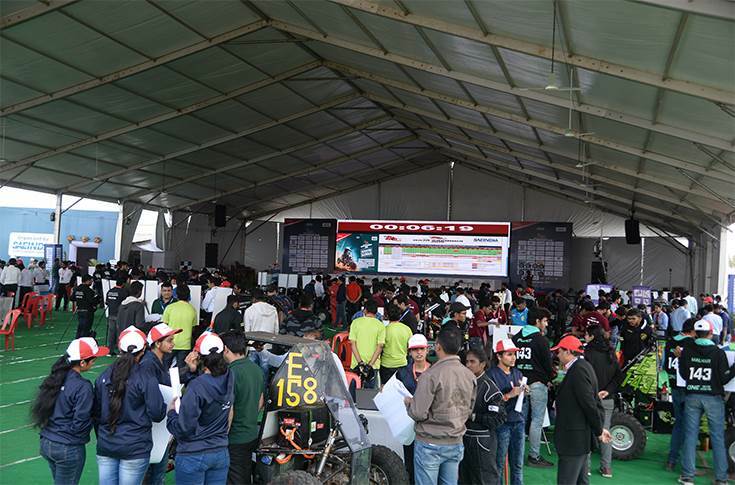 At 2019 Baja SAE India held at NATRiP, Pithampur, the chief people officer (CPO) of Mahindra reveals why this is the best place to hunt for the best talent in the country. He explains what today’s industry is looking for and what tomorrow’s industry will look for. As a human resource executive, what are your perspectives on Baja SAE India? For people like us, this is one of the best recruiting grounds in the country. And I am not speaking on behalf of the automotive industry alone, but for the entire Indian industry. Unlike the campus placement drives, here the students have to literally showcase the knowledge and the skills they acquired through their technical background. The event is proving to be so beneficial for talent seekers that last year alone more than 60 students were picked up directly by several companies. Mahindra is extremely proud of its own recruits from Baja as they are found to be quite ambitious and productive for the company. As far as the Indian standards go, we are close to the ones that are conducted in the US. It is true that a major chunk of the recruits go into the R&D department, but we have also seen some students who are better with their managerial or marketing skills. What are the challenges that you have faced while seeking new talents here? I wouldn’t say challenges because the event itself is the best screening process that we could ask for. However, the effort that goes into this is huge. The event consumes a lot of time, but then again, we are always happy with the end results. The whole filtering process has also been streamlined by the event. So some students might be really good with their aptitude and their practical knowledge, but Baja also showcases their attitude towards a given challenge. There are a number of women participating in these events. How do they fare when it comes to hiring? The percentage of girls getting hired here is much higher than the percentage of girls in engineering colleges. Last year itself, our girls' intake percentage came to around 24 percent. With the advent of electric cars and autonomous technology, are you looking to hire more of the eBaja participants? For us, the passion and the interest for automotive solutions are the first criteria for hiring any candidate. For the time being, we have not differentiated between eBaja and mBaja from the recruitment point of view. However, with an increasing demand for electric mobility solutions and if eBaja attracts more participants in the future then we would definitely increase our hiring from the electrical and electronics branch of engineering as well. The same would go with computer and IT engineers for autonomous technology. Similarly, future Baja events would see more participations from battery manufacturers, EV charging solution providers and electric powertrain manufacturers who could seek talent from eBaja.